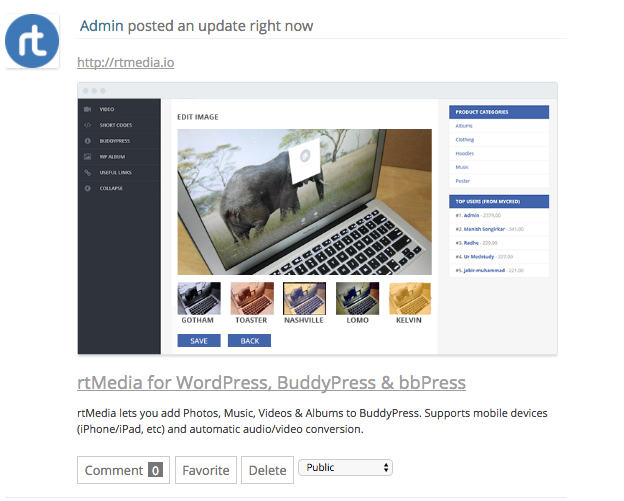 This addon provides a preview of the URL that is shared and shows up on BuddyPress activity. Just enter the URL you want to share on BuddyPress activity and see a preview of it before it is shared. From version 2.0, twitter card support has been implemented. 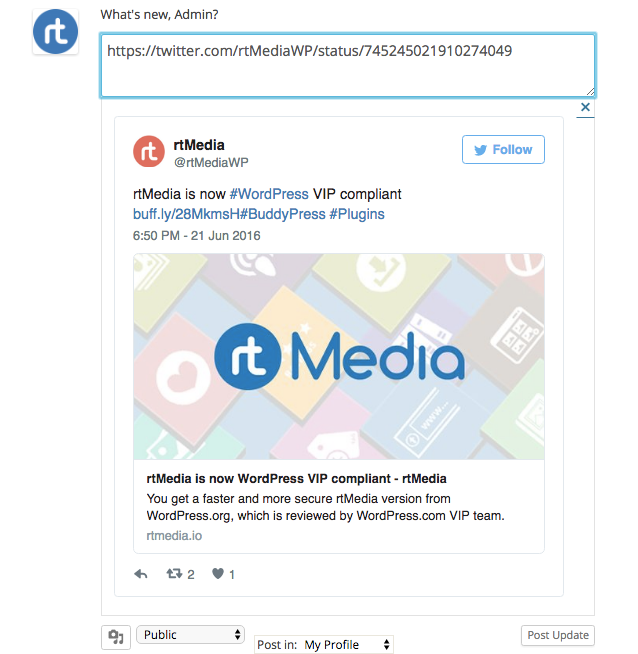 Whenever the user adds twitter status URL in buddyPress activity/wall posts, it will display that tweet. Also user can share their twitter timelines and moments. From version 2.2.0, support for SoundCloud has been implemented. Whenever the user adds SoundCloud audio URL in buddyPress activity/wall posts, it will display that SoundCloud audio card. From version 2.2.1, support for Vimeo URL has been Added. 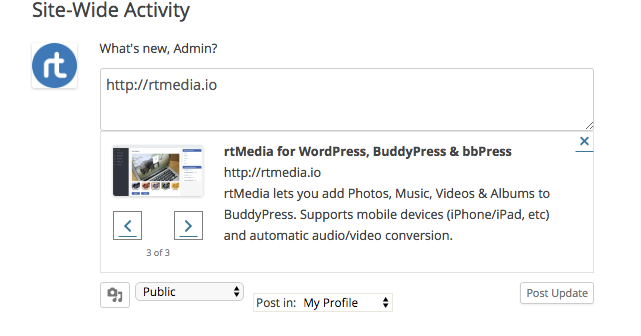 Whenever the user adds Vimeo URL in BuddyPress activity/wall post, it will display the respective card. The output will be something like as shown in below screenshot.